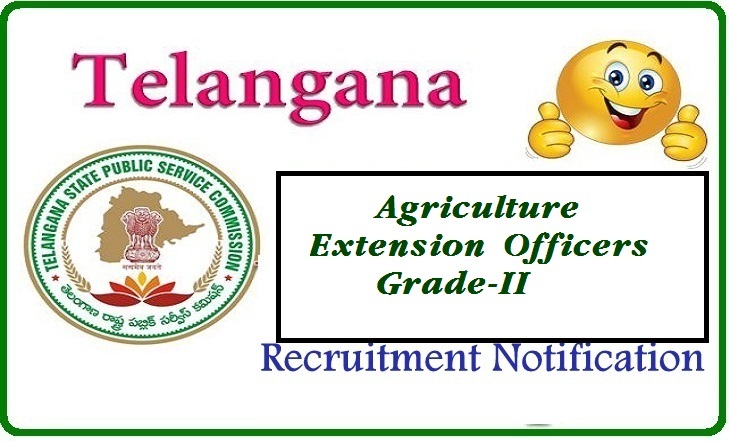 1) Applications are invited Online from qualified candidates through the proforma Application to be made available on Commission’s WEBSITE (www.tspsc.gov.in) to the post of Agriculture Extension Officer Grade-II in Department of Agricultural Subordinate Service in the State of Telangana. 4)AGE: Minimum 18 years & Maximum 44* years. The age is reckoned as on 01/07/2015 (Rule- 12(1)(a)(v) of State and Subordinate Service Rules). *As per G.O. Ms. No. 329 GA(Ser.A) Dept., Dt. 27/07/2015 the upper age limit is raised up to 10 years i.e., from 34 years to 44 years. Candidate has to verify the details as obtained from OTR database and displayed on the screen. 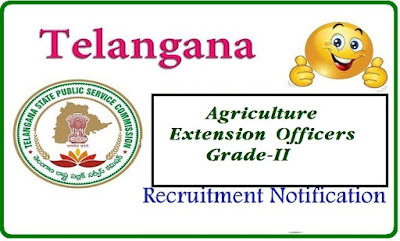 If any details are to be changed, candidate should go back to the TSPSC website and use the Edit OTR link. In addition to the details obtained from OTR database, Notification specific details such as Examination Centre opted, requiredqualification, university details, eligibility and accepting declarations etc. are to be filled by the candidate. Preview and Edit facility is available to make changes and submit for proceeding to Next step of making online payment of fee.